Sales in the week prior to Christmas, between December 18th and 24th, increased by 4.72 percent compared to 2016. RIO DE JANEIRO, BRAZIL – On Tuesday, December 26th, a report from the Credit Protection Service (SPC Brazil) and the National Confederation of Store Owners (CNDL) showed that early sales in the week prior to Christmas, between December 18th and 24th, increased by 4.72 percent compared to 2016. 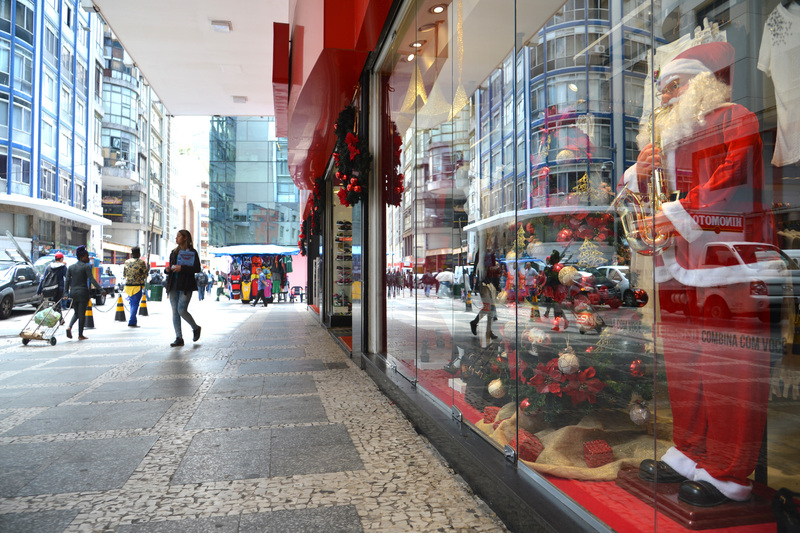 Data reported by the Credit Protection Service (SPC Brazil) and the National Confederation of Store Owners (CNDL) shows sales increased by 4.72 percent compared to 2016 Christmas, photo by Rovena Rosa/Agência Brasil. This is the first year of growth after three consecutive years of decline. The results of Christmas sales in the previous years were: -1.46 percent (2016), -15.84 percent (2015) and -0.7 percent (2014). “Increased access to credit and higher interest rates still limit Brazilians’ purchasing power, but with the economy showing signs of recovery, consumers went shopping less timidly than in recent years and also on other commemorative dates. 2017,” said SPC Brazil president Roque Pellizzaro. Pellizzaro shared that though this year’s growth looks strong, it is still far from the results of the years before the economic crisis. According to the entity’s survey, the average spending of the Brazilian with the total of Christmas gifts turned around around R$461.91. The estimate is that the date would move about R$51 billion in the economy. In other positive economic news, sales in shopping malls across the country had nominal growth (excluding inflation) of six percent in this period of Christmas, compared to the previous year, according to a survey by the Brazilian Association of Shopkeepers (ALSHOP), in the city of São Paulo. The estimated revenue, which took into account the month of December, was R$51.2 billion. According to Nabil Sahyoun, president of ALSHOP, the rise means a reversal of a downward curve, since in the last two Christmases the sector had retracted. Last year, there was three percent drop at Christmas for sales in shopping malls, and in 2015, the reduction was two percent. “We can celebrate,” Sahyoun said.